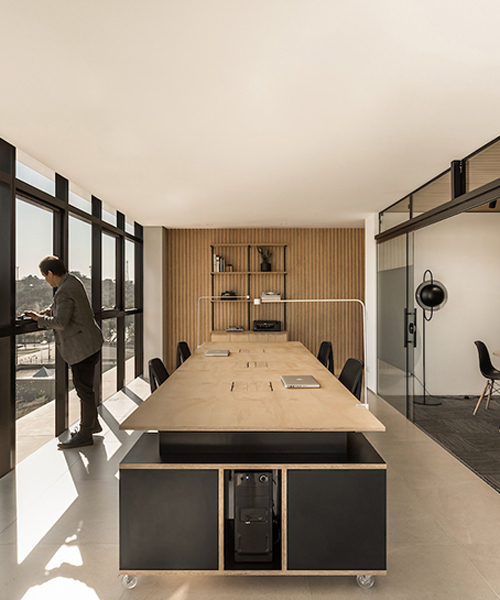 SOLO arquitetos has been commissioned to design a local headquarters for a plywood and timber company frank madeiras in brazil. 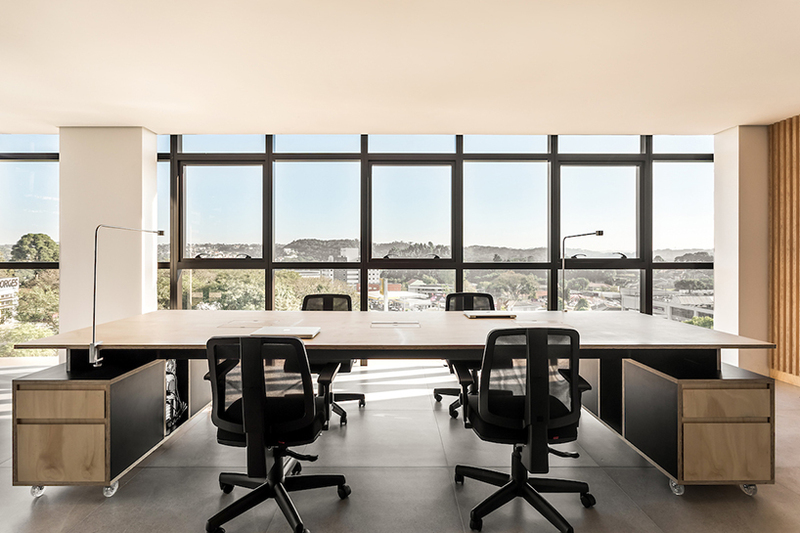 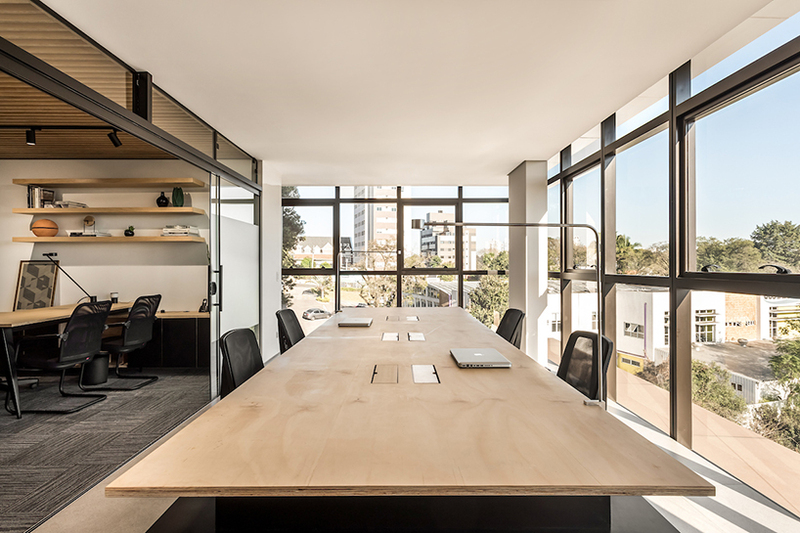 organized around the center boardroom set in a glass box, the space functions as office and a showroom, overlooks the great view of the neighboring barigui park and is perfectly lit with sunlight. 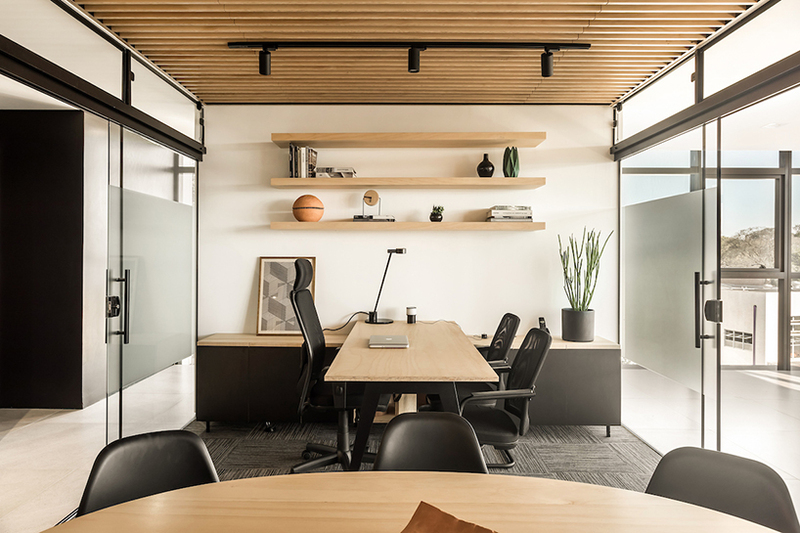 the presence of a pillar in the center of the room serves as a support for a central volume that divides and organizes the flow in space — the boardroom and the meeting room dividing the office in storage, support, reception, and working area. 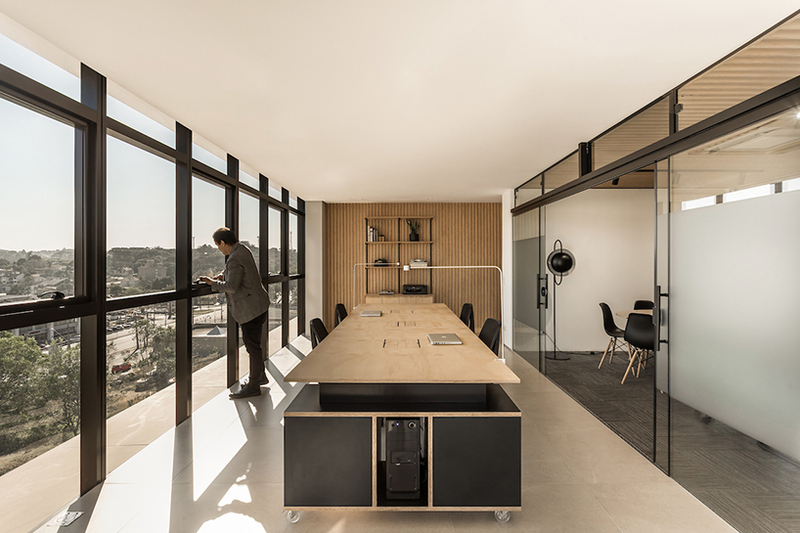 this central volume is enclosed by light glass partitions that allow the view and the natural light leak to anywhere in the room. 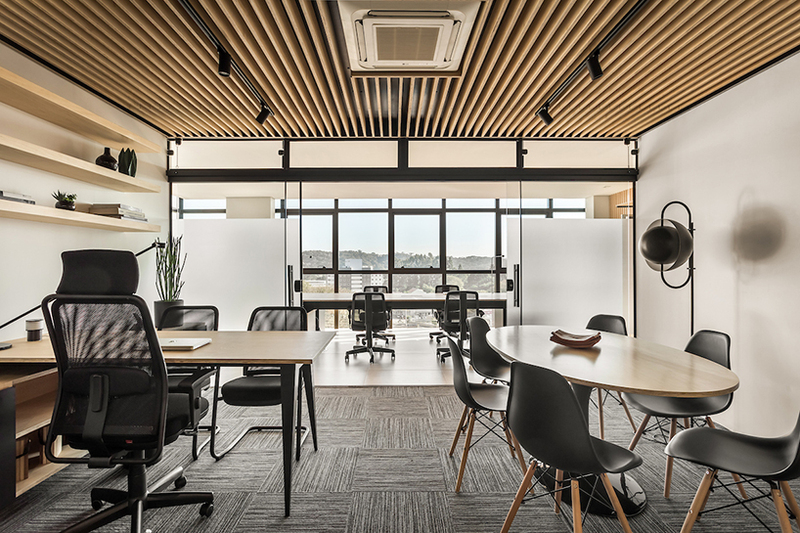 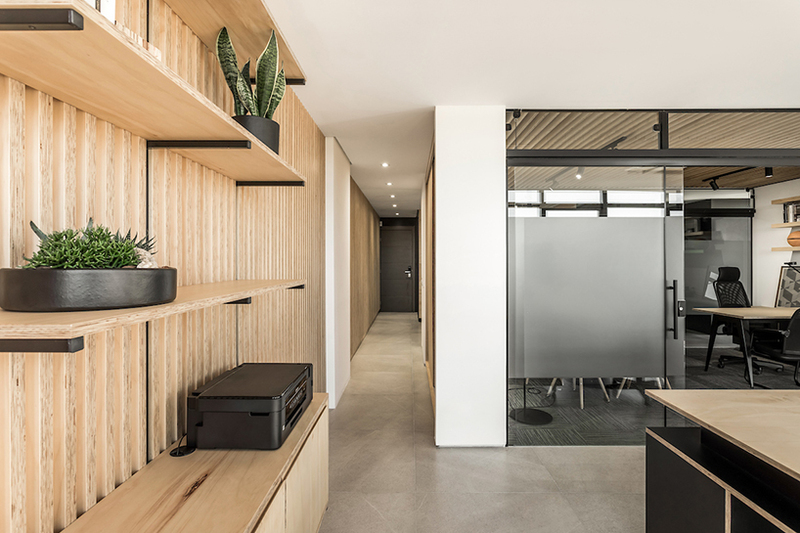 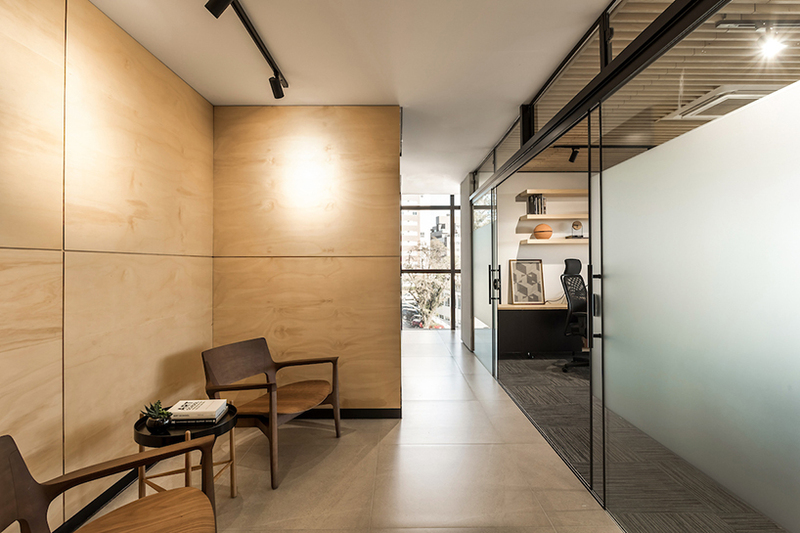 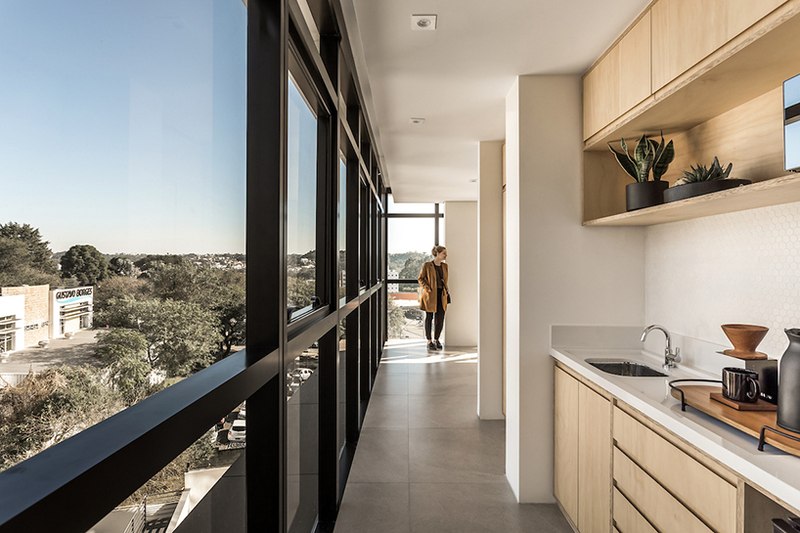 the materials SOLO arquitetos has selected for the project, seek to highlight the client’s products, showing the quality manufacturing and the flexibility of their use in interior architecture: furniture, decorative panels, and lining. 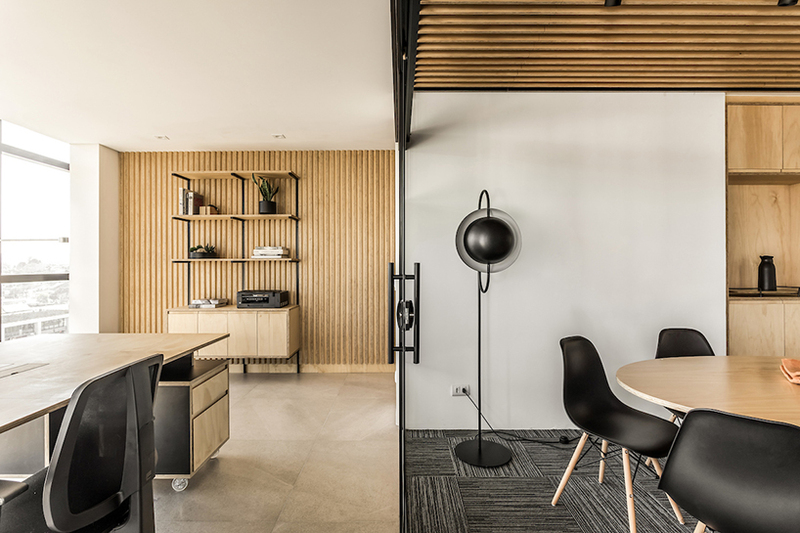 in contrast to the tone of the natural wood, black, white and gray were used on the floor, showing the material’s color and texture at their best.